Hajime Isayama’s Attack on Titan debuted in 2009. Now it is entering its final arc, hurtling the popular manga to a conclusion. 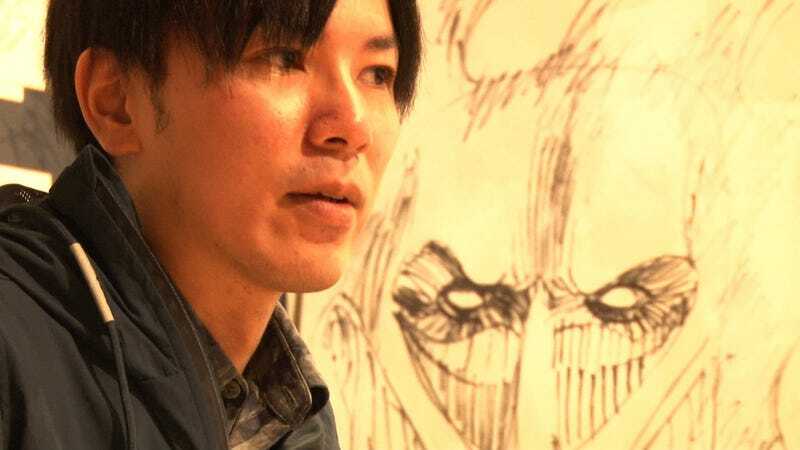 This weekend, Isayama (pictured) was featured in the Japanese TV program Jonetsu Tairiku. He was shown working on the manga that made him famous, and the program featured interviews with his editor and parents. The preview for the episode announced that the manga was entering its final arc. According to ANN, Attack on Titan editor Shintaro Kawakubo in 2014 said, “The serialization is slated to end in three to four years.” Four years have passed since then, so it’s unclear how long this final arc will run. And a sketch of the final panel that will end the manga.